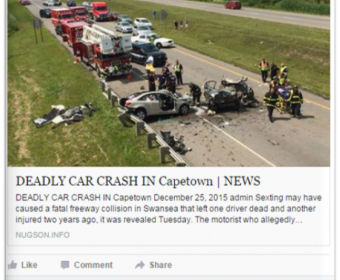 PLEASE DO NOT CLICK on these posts currently being shared on Facebook. The information / content off these posts are not true. When you click on the post, you are directed to the website and you can see the accident content in the background of the page… BUT there is a transparent POP-UP screen with a advert in the middle and also a loading bar, that blocks most of the content. In the right hand top-corner of the advert, there is a ‘close’ (circle with a cross). That’s also fake, because the minute you click on it, these websites and their owners are making money just because you have clicked on a paid-for advert. 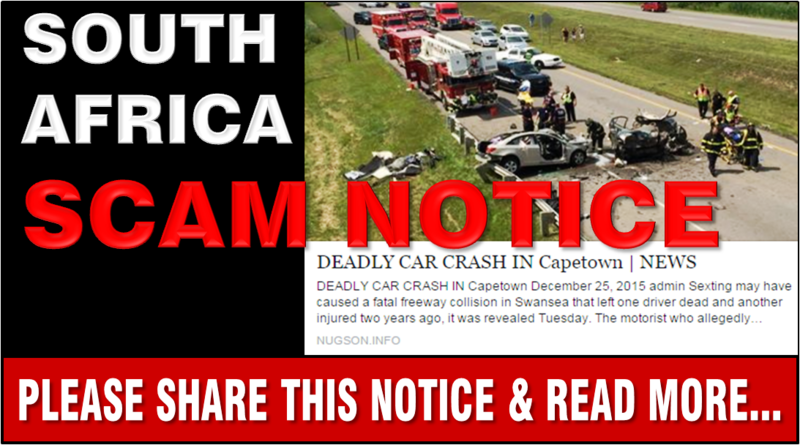 The content of the accident is fake because it’s not in Cape Town, Port Elizabeth or anywhere else. Bottom line… There has been NO ACCIDENT like originally claimed to be. It’s only to get you to click on the ADVERT, because you can’t view the post without clicking the advert. 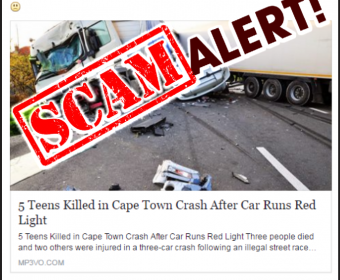 We all work very hard for our money, while these guys or girls is posting spam and they earn hundreds of thousands of rands for fooling us. PLEASE SHARE THIS POST WITH FRIENDS.